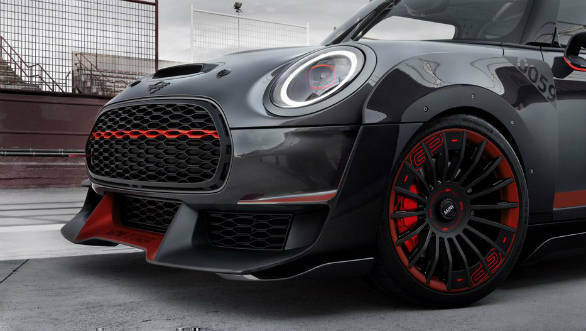 BMW Mini has announced that it a production version of the 2017 John Cooper Works GP concept will make it to showrooms by 2020. 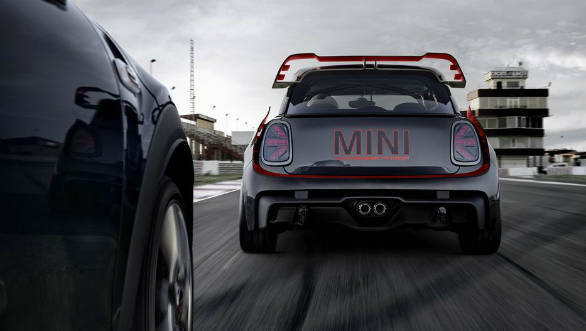 This model, the Mini John Cooper Works GP, will be the quickest, most focused model in its line-up. Both the earlier iterations of the Mini had these GP models and both were limited to 2,000 units. A similar production run can be expected of this car. The GP concept was shod in extensive carbon-fibre bodywork and an aggressive aero package. There were large louvered wheel arches, a new front bumper with a splitter, a spoiler, hoodscoop and a dual-layered diffuser at the rear. The grille is also larger. The interiors of the concpet were spartan, with the rear seats being replaced with a roll-cage. A toned down mix of these additions can be expected in the production car. There should also be more track focused wheels, better brakes and a stiffer, more agile suspension package. 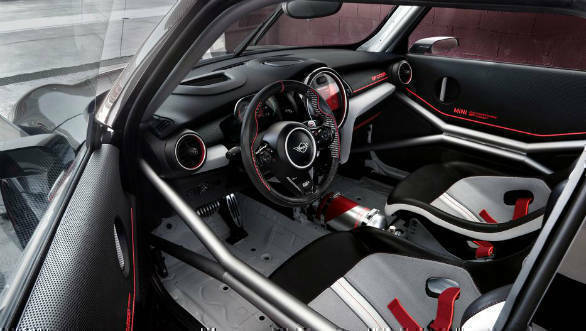 The current Mini JCW is powered by a 228PS and 320 Nm 2.0-litre turbo four-cylinder. This is mated to an eight-speed auto or a six-speed manual. A fair increase over this can be expected, so power could breach the 250PS mark. Prices will be at some premium over the JCW, and if made available in India, could cross the rs 50 lakh mark. 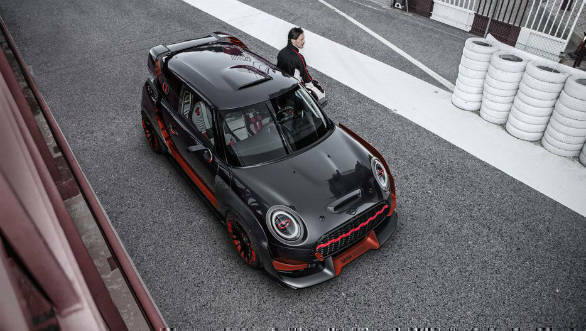 The JCW GP will aim to take the Mini 'go-kart' association and dial it up significantly enough to make it a viable contender among the growing crop of track-focused hot-hatches.